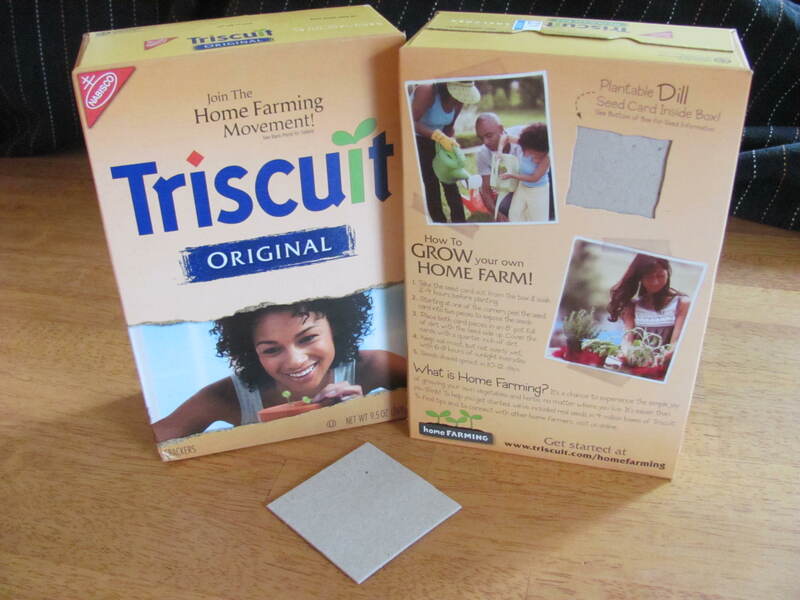 Plant a garden with Triscuits! While grocery shopping the other day, I grabbed a box of Triscuits (great vegan treat with hummus!). I noticed on the front of the box: "Join the Home Farming Movement!" so I turned it over to read the back. Believe it or not, every box of Triscuits has a seed card in it so you can plant your own herbs! How cool is that?! I immediately grabbed two more boxes so each of my kids can plant their own seeds and see what happens. Hopefully, they will sprout into nice, strong plants that can be moved into our garden in early summer (the herbs…not the kids). We'll be tripling the size of the vegetable garden we had last year and these fresh herbs will be a nice addition. I think there are a lot of people moving in this healthier, fresh, locally-grown direction when it comes to fruits and vegetables. Join the home farming movement yourself — a box of Triscuits will get you started!